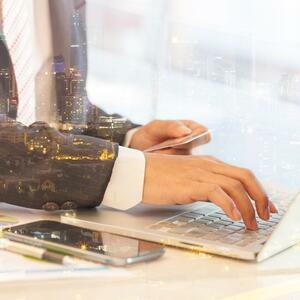 According to a report from Risk Based Security, the number of data breaches in 2018 thus far is ever-so-slightly down from this same time last year. Last year, there were 2,439 breaches. As of June 30th, this year, there have been 2,308 breaches. That’s not a huge difference. There is a tremendous difference, however, in the number of data records exposed. Records, in this case, means the personal information compromised in data breaches—things like addresses, credit card numbers, health profiles, tax identification numbers, and other sensitive data. At 2017’s midway, a record 6 billion records were exposed. This year, “only” 2.6 billion records have been exposed thus far, which means the severity of data breaches has declined. That sounds like a lucky break, but keep in mind: The Equifax breach, which exposed the credit card data of nearly half of America, happened in September. There’s still plenty of time in the year left to catch up to 2017’s record numbers. And even though the Equifax breach harmed half of the U.S. last year, it wasn’t until the Cambridge Analytica scandal, which revealed the unethical sale of the Facebook data of 80 million people, that U.S. citizens began to wake up to the fact that their data is not protected by the businesses harvesting and profiting from it. The numbers back that up. According to the report, 40 percent, or nearly half of the organizations breached are businesses. The phishing for log-in credentials and fraud scams continue to bamboozle companies with little or no protections in place. Companies must do better. And they can. There are ways to protect the information of customers, regain and retain the respect and trust of customers, and keep the number of exposed records low for the rest of the year. The best way is through encryption, a method of data obfuscation that keeps sensitive information safe and unreadable even when exposed through negligence or stolen by malicious attackers. eperi offers comprehensive controls and templates for safeguarding data over various situations, whether that’s storing confidential information in the cloud or sending an email with Outlook. For an encryption solution that suits your enterprise company, contact us.